Elemis Melting Cleansing Gel was on my Christmas list, and Father Christmas delivered. 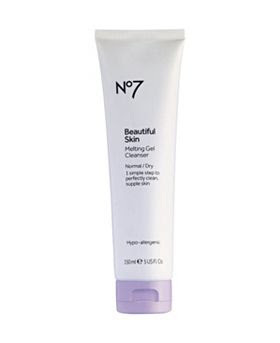 And I'd been using and liking this product immensely, when I saw the posters for the new No 7 Melting Gel Cleanser. Hmmm, similar name. Similar product? Let's find out. Well apart from the price, you get more for your money with No 7, which is a 150ml tube, vs the 125ml of Elemis. And the active ingredients are quite different too - Elemis brags about the super heroes organic argan oil, mattifying rice silk and purifying rosemary leaf, combined with powerful anti-pollution moringa peptides whereas No 7 contains rosehip oil (oil of the moment it seems) and sweet almond oil. There's also a difference in appearance - in the photo below, the top product is No 7, and the bottom one is Elemis. Although I would definitely say that the texture of both products is very similar. What is very different however, is the smell - the No 7 cleanser has a very strong smell, very sweet, like Turkish Delight. It's almost overpowering, and so if you don't like scented products, or a rose smell, then this is not for you. The Elemis cleanser has a soft, delicate smell, which is very pleasant. The instructions on how to use each product are different, with Elemis asking you to massage the product into a dry skin, and the No 7 a wet skin. I've used both techniques, and found that both products worked better on a dry skin, followed by adding water to form an emulsion and then rinsing off. This way the product is fully massaged into the skin, because as soon as water is added, it starts to melt away, not giving the active ingredients a chance to work on the skin. 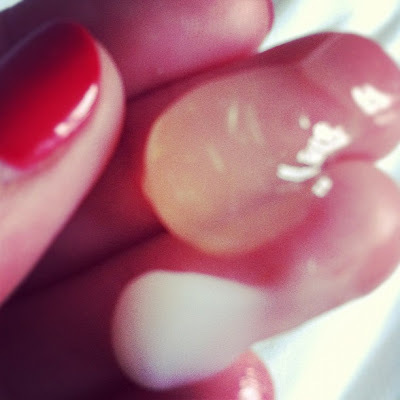 It also gives the product more grip on the skin, helping to dissolve and remove makeup. 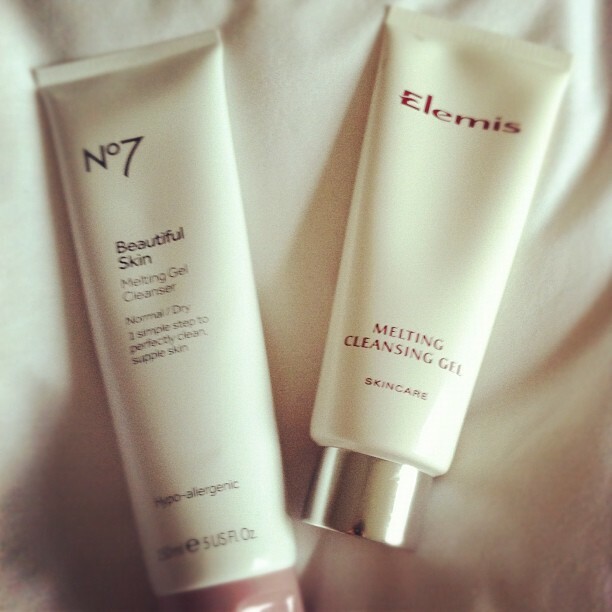 The Elemis cleanser feels thinner than the No 7 when you're massaging it in, and I preferred the slightly thicker consistency of the No 7 cleanser, which seems to give more purchase when you're applying it. When you've added water, and the product has emulsified on the skin, I found that using a muslin cloth to rinse off the cleanser and help exfoliate at the same time really worked well with both cleansers. Both products left my skin feeling the same after using - cleansed, but not tight, and definitely smoother and softer. The Elemis cleanser is for all skin types, and the No 7 is for normal/dry skin, but I liked the way it worked on my normal/combination skin. So the main difference? It's the smell, and it's the price - this No 7 budget cleanser is not one to be sniffed at.